In my early twenties, between shifts at one of many menial jobs in San Francisco, I bought a copy of Pema Chödrön’s classic Start Where You Are (Shambhala, 1994). “If you have ever wondered how to awaken your genuine compassionate heart, this book will serve as a guide,” it began. The Buddhist nun had certainly been through ups and downs—two divorces, raising a family—and I fell in love with her direct style, thumbing the pages time and again. As I slowly realized that I would probably never hit a magical age when everything made sense, Chödrön went on inspiring me and millions to awaken our hearts anyway, penning over a dozen books and reaching international acclaim as a writer, teacher, and speaker. At 39, I know that I’m not alone in saying that the quality of my life has, in fact, been altered by that chance encounter with a Pema Chödrön book on a lunch break. I saw Chödrön speak for the first time in person on July 14, 2015, her 79th birthday, at a small retreat center near Boulder, Colorado. From that talk, here are eight wise inroads to greater inner harmony. We develop inner harmony by cultivating unconditional friendship with the world and ourselves, reducing our propensity to polarize, she says. To polarize means to look at a situation from the viewpoint of a “solid” me vs. a “solid” you; us vs. them. It means oversimplifying and getting stuck in limited beliefs about people and situations. Not only does polarizing cause actual harm, she explains, but it keeps us deeply stuck in our own dead-end patterns. Soften and see circumstances as workable. By making friends with our circumstances, with our feelings and emotions—without repressing—we can learn to soften around situations, she suggests. We can see the futility of polarizing, de-escalate our reactions, and reduce discord and live with greater ease with ourselves—and with everyone. Polarizing thoughts—judgment, criticism—can be subtle, says Chödrön. She admits that her own tendency to judge has been tricky for her to notice and work with. “Like me, you may start thinking, ‘Well, she deserves to be taken down a notch,’ or ‘He did that, and everyone agrees he’s wrong.’” Don’t reject thoughts, says Chödrön; just don’t invest them with a significance they don’t have. “Learn to tolerate discomfort,” she says. Be open to the power of forgiveness. It can be easy to focus on where we fail to have compassion or to be open. Don’t let good intentions turn into self-defeat, says Chödrön. “Every time you are conscious of actions or speech, you’re developing an open heart, more empathy, and an understanding of the enormous complexity of any event. You’ll feel more alive, your mind will be more curious, and your heart will be touched,” she says. See every day as an opportunity. 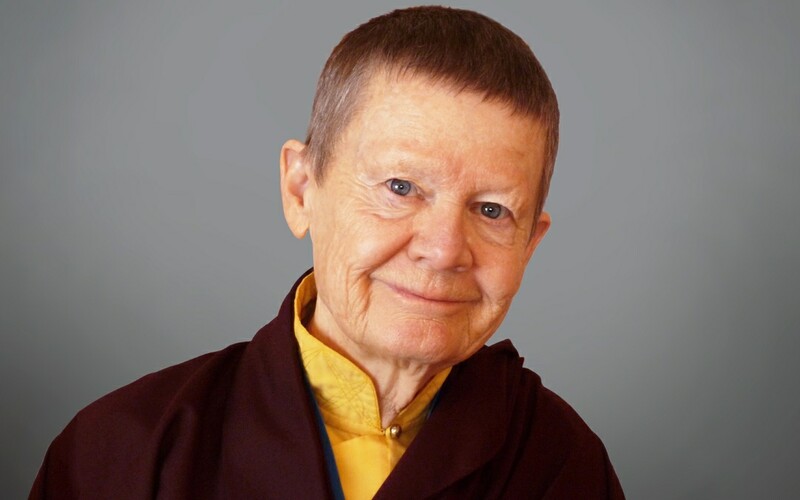 “Nothing is not an opportunity to open one’s heart and bear uncertainty of our lives as humans, to grow in connection to what really is, and to connect with everyone,” says Chödrön. Perhaps on my 79th birthday, I will say much the same. Heck, why not now?